Yesterday Kai wanted to have butter for breakfast. She was very adamant about it. Mrs Bean wanted her to have almond butter or cream cheese on bread first, Kai had eaten too much butter already. Back and forth, there was yelling and there was crying. While that was happening, Avi kept me company while I packed a snack for myself. 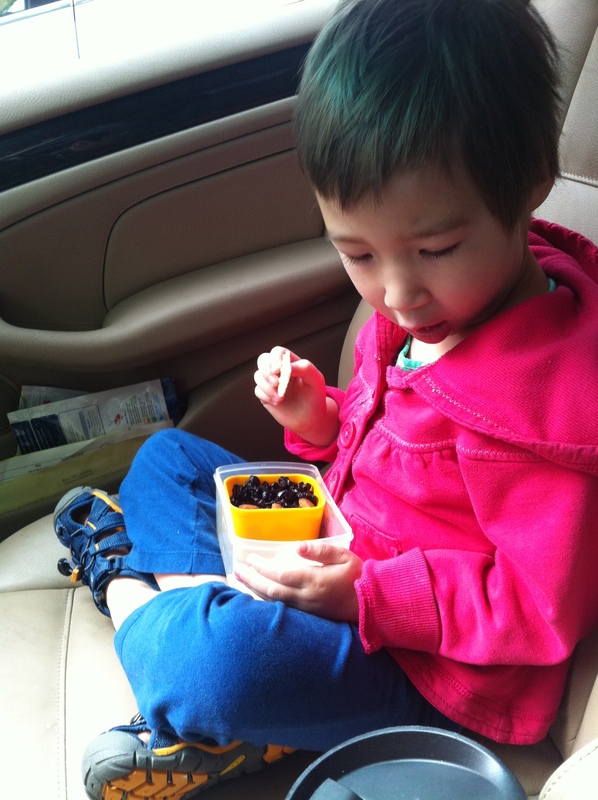 Finally, Kai and I left for school – she hadn’t eaten breakfast. We parked at school and listened to music while she ate all the crackers in my snack box.